Looks like companies are bitten by the rebranding bug. First there was Intel changing its logo. Then there is Kodak following the suit. 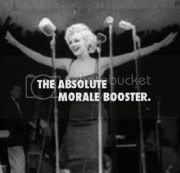 Now we hear one of the most famous campaigns of ad world, Absolut vodka – bottle campaign is being shelved. The absolut ads have always been one of my most favorite print ads. The company has decided to shelve them to move towards a more iconic advertising. Also this shift will make absolut move towards television from being print heavy. “Is marketing the art of tricking people into buying stuff they donâ€™t need?